While humans toil at their ordinary, boring lives, a battle secretly begins among a new species that evolved from humans... They disguise themselves as human children, and instead of maturing into adults, they are each gifted with a different "special power". They are the new humans, known as "Kodomo." Hinagata Heiji is a Kodomo who can bring any inanimate object to life by dripping his blood on it. In order to find his own feeding ground, he keeps transferring to new elementary schools... Enjoy this creation from Ogino Makoto, author of Peacock Lord! 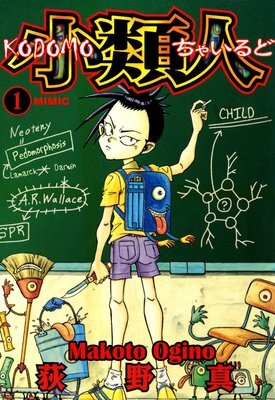 An epic gun action manga chronicling a young policeman with psychic powers who does battle with a slew of freaky foes! 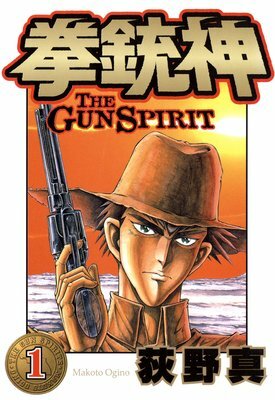 Matoba Isamu is a failure of a policeman who hates guns. But then, when a sudden bank robbery happens, he walks right into the scene completely unarmed, and somehow defeats the two crooks! Meanwhile, Azusa Yuzuru, an officer from the central police department catches Matoba's quick, superhuman movements on the security camera, and decides to investigate him! 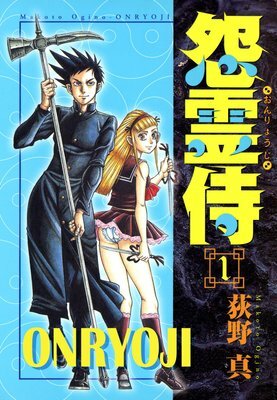 This is a horror action manga about a young man who works as an Onryoji,a spiritual warrior who has turned his own body into a weapon in order to do battle with evil spirits. In the first case,a university professor named Kandagawa goes to a clinic in order to seek treatment,but the doctors find nothing wrong with him... that's when the Onryoji arrives on the scene. It turns out that Kandagawa's been cursed,and his organs are gradually disappearing,one by one... can he be saved?! 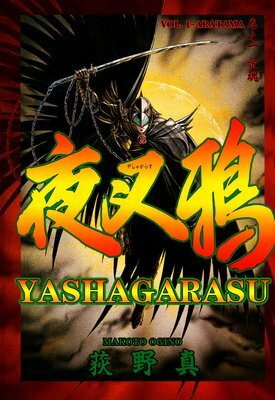 An action fantasy starring Yashagarasu,a masked crusader whose duty is to hunt down evil souls and send them to Tokoyo,the land of the dead. If spirits filled with strength,anger,sadness,and grudges remain in the material world,they risk transforming into Aradama,evil spirits who bring calamity and misfortune unto the world. Whenever the Yata Mirror rings,informing Nachi Takeru that an Aradama has been born,he transforms from a cheerful young Shinto priest into Yashagarasu,the dark crow who hunts evil! 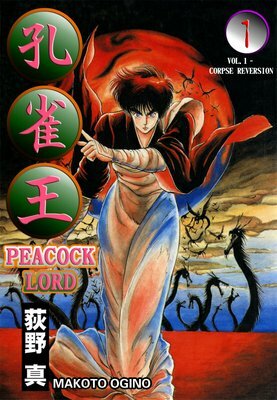 Kujaku is a young Ajari,a monk with the power to destroy all evil and a pure heart of mercy,who has inherited the name of the Peacock Lord.With the powers of his esoteric buddhism,he travels the land destroying evil monsters,demons,and ghosts! His adventure begins when a monster appears at a TV station,but upon a closer look,Kujaku finds a powerful grudge from a weak victim who was exploited by the TV station in order to increase ratings.As the story goes on,Kujaku awakens more and more to his godlike powers and does battle with creatures from legends all over the world.Get ready to be blown away by this epic action masterpiece!